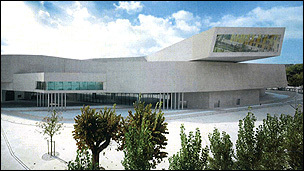 Zaha Hadid has finally won the RIBA Stirling Prize today, for the MAXXI contemporary art museum in Rome. The Stirling Prize is the UK’s most prestigious architectural award and the choice of Hadid as winner is a bold decision that should be applauded. Zaha has been nominated three times without winning,. This year the jury finally recognised her achievements and the boldness of her designs. The ‘public’ had favoured one of her opponents' designs, the Ashmolean Museum in Oxford, according to an RIBA poll. The Ashmolean Museum is a decent bit of design, however it is no match to Zaha’s MAXXI museum with distils several of her experimental ideas into one building. In awarding the prize to Hadid, the jury acknowledges her long term contribution to architecture and the perseverance that made her fight for her radical ideas over decades. The MAXXI museum brings contemporary architecture to Rome in a spectacular way; Zaha’s approach to design was not compromised at all. Furthermore, at a time when there’s so much pressure for architecture to be subtle and discrete, her win is a victory for experimentation and ambition. The misanthropic brigade has lost this one. Well done Zaha.